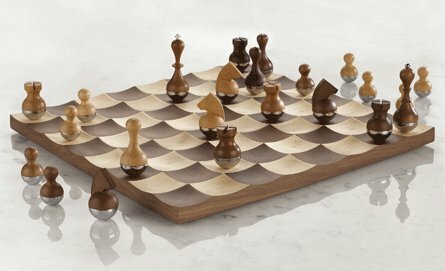 Last week we posted some ideas for modern father’s day gifts but we just found this Wobble Chess Set designed by Adin Mumma that we thought was worthy of being added to the list. You can get it online at Umbra ? here.